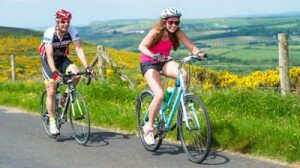 An idyllic early summer ride with a choice of three great routes (17mile family route, 35 and 55mile routes) the Dorset Coast and Harbour offers up the best of the beautiful Dorset countryside and the famous Jurassic Coast. Starting in Poole Park (map here), the routes follow around one of the largest natural harbours in the world, before heading out into the lush countryside of the Isle of Purbeck. The 55mile (long) route heads west then south to sweep down through Lulworth, before heading down the coast to Swanage and back to Poole via the Ferry at Studland Bay. The 35miler follows the long route to Corfe Castle where the two routes part ways as the medium riders cut across to Studland and re-join the other routes. The medium route can be shortened to 30 miles, taking cyclists along flat woodlands next to the harbour. 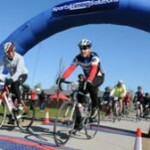 The 17mile (short) route riders cycle to Studland and back crossing the water by ferry twice. The 55 and 17mile routes are on road, whilst the 30mile option includes roughly two miles on unmetalled Sustrans cyclepath, some of which has a loose gravel surface. 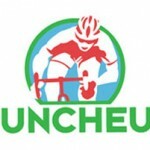 Organisers, Bike Events, publish an excellent guide to race preparation � click here � and entry fees are: adult (17 miles) �16.50, entry pack �18.50, kids entry (under 15s) �8.00 and team entry (6 riders or more) �18.00 per rider.